Many people write for the pure joy of it and getting published is just icing on the cake. But those of us who write with the intention of making a living at it would do well to thoroughly understand all aspects of book authoring and income. Here's a round-up of some of the most popular articles on book publishing and money, with respect to authors. 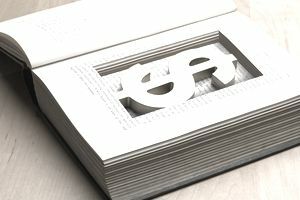 When an author enters into a contract with a book publisher, he or she is granting the use of the copyright of the material in exchange for royalties (essentially, a percentage of the sale) of the resulting work. Understanding the basics of royalties and advances (that is, advance payments against eventual royalties) is critical for any author. That question of money comes up a lot. The answer to the question of how much an author can make varies greatly—like, from about $0 (or even losing money) to millions of dollars. But understanding a bit about how authors are paid—and what criteria publishers use to pay an author a huge advance—can help writers gain some insight into what the book bottom line can be. From Lena Dunham's estimated $3.5 million advance to Amanda Hocking's paranormal DIY publishing success story, learn more about whys and wherefores of author income and what factors go into how much money an author makes. Subsidiary Rights–Additional Revenue from "the Work"
The sales of a book's various subsidiary rights—from paperback to film, theater or television; from foreign and translation to merchandising—can create additional streams of income for the author. Being a published book author means you have the means to bring an audience to you and makes you a de facto expert in a topic or subject matter—and both of these facts create opportunities for additional income. From speaking engagements to audiobooks to merchandise, here are some ways to leverage book content and your status as an author to earn more income. Some authors are self-employed writers who ply their craft full time. But more often, authors have other means of income as well as their writing. The IRS has lots to say about deductions, whether you can consider yourself a business or a hobbyist, collecting sales tax, and more. Donna Fasano's books have sold nearly 4 million copies worldwide and have been published in nearly two dozen languages. Originally published by a traditional publisher, at one point Fasano decided to go the indie author route—and made a good living off her books. Fasano generously showed readers "the money"—that is, she candidly shared the financial aspects of her self-publishing journey, for the benefit of aspiring authors, traditional or DIY. The changes in the book publishing marketplace from print to digital and the prevalence of online retailing have affected the author's bottom line. From the way publishers do research on title sales to the loss of author income due to digital piracy, read Curtis Brown CEO Tim Knowlton's insights on how digital publishing affects the author's bottom line.